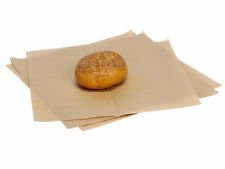 9"x12" Deli Tissue Sheets 100% Biodegradable Commercial Food Grade Tissue Unbleached Natural Kraft and Grease Resistant. 9" x 12" tissue papers (20# paper). Made in the USA. Alternative to waxed deli paper. Biodegradable, compostable & recyclable. Great liner for food service including deli's, basket liners, bakery, confection and more! Meets FDA requirements for direct food contact. Re-packaged into smaller amounts for personal home use. If you have any questions about this product by shanna-bananapeels, contact us by completing and submitting the form below. If you are looking for a specif part number, please include it with your message.